Being Ohio’s leading epoxy installer, we field a lot of questions on how epoxy flooring benefits your business. While some people come to us knowing they want epoxy flooring solutions, others are doing their due diligence and comparing flooring options. The fact is that whether you are refurbishing, updating or doing a new build – it is hard to find a better flooring solution than epoxy. Here’s the thing. Epoxy flooring isn’t perfect, but’s it pretty close. Certainly, their cumulative advantages are greater than their competitors. After all, it’s difficult to find flooring that’s more durable and withstands chemicals and spills as well as repelling water, stains and heat. All that and it’s comparably priced to other flooring solutions. 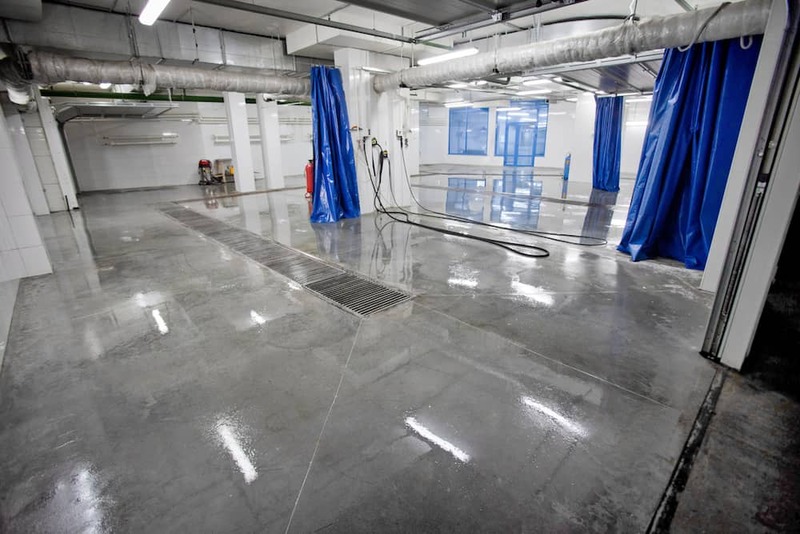 This makes epoxy flooring the best – sometimes the only choice – for several industries including commercial and residential developments, food & beverage, manufacturing, automotive, education, aviation, government, aquatic, and many more. Aesthetically, epoxy floors are exceptionally professional and chic. They are highly customizable to any design scheme and leave a sleek, smooth, seamless surface. With CNC engraving, we can also etch logos, branded messages, or numbers directly onto the concrete or building. The benefit of high aesthetic is easy to understand. 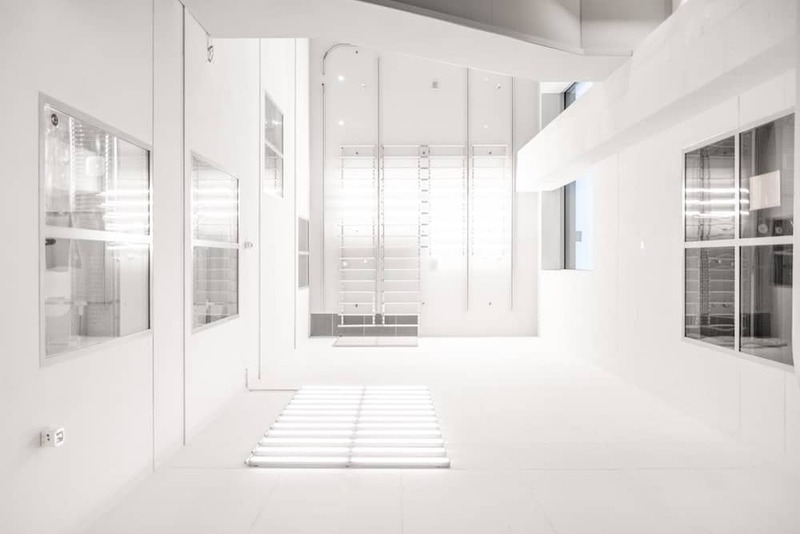 After all, when you walk into a store or a potential client’s building, appearances matter. You and your customers will likely be unconsciously swayed by the high aesthetic that epoxy creates. As we mentioned, the per-square-foot costs of epoxy floors are very comparable to other flooring systems. In fact, they are often the same – or significantly lower – than the cost of alternate systems. And, thanks to a relatively quick installation process – especially when handled by professionals – you benefit from getting on with business sooner. Once cured, epoxy resin has unparalleled strength and resistance. It is both cold and heat resistant, repels any liquids from water to oil to gasoline and transmission fluid. They also withstand abrasive chemicals, extreme heat or cold and impacts from machinery. This strength creates several benefits for your business. First, you don’t have to walk on eggshells on epoxy floors – these coatings can take a lot of heavy use, even from machines and vehicles. Second, their strength means that they last longer – making your bottom line stronger. Epoxy floors typically have a longer lifespan than other flooring systems, with the exception of sealed concrete. Naturally, the length of life depends on traffic and use, but when installed properly, epoxy floors can last several decades before cracking or peeling occur. Epoxy flooring also protects the concrete foundation against moisture and cracking, saving you cleaning and maintenance in the long run. The benefit to you: a high-value return on your initial flooring investment. As we mentioned, epoxy coatings create an incredibly smooth surface, almost like glass. This creates one of the few downsides of epoxy because the surface can be slippery when wet. But, we can customize varying levels of slip-resistance through a combination of textured coatings and anti-slip additives. By doing so, facilities of all manner benefit from increased onsite safety. Epoxy coatings can also increase visibility through heightened reflection. Further, our resinous coatings contain no toxic, VOCs, or hazardous fumes that can harm you during or post installation. Would like an estimate on a bathroom floor and basement floor.